DataFeedWatch went through many changes in the past several months. 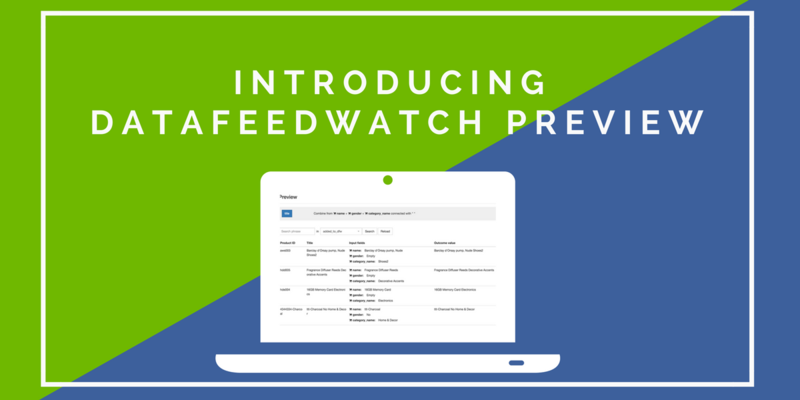 Today we are very excited to announce our newest feature that will help you save tons of time – DataFeedWatch Preview. 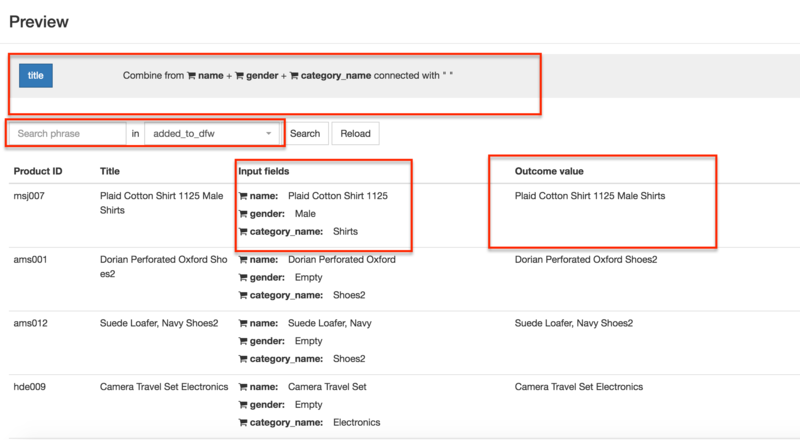 One of the best practice in creating optimized feeds is seeing how the final attribute will look at the customer’s end on the shopping engine. But how can you see that quick and easy? What is the Preview Functionality? It is only normal that you want to see instantly the effects that the more complex rules have in your feed. Up until now, if you had applied rules to a field, take title for example, there was no easy way to see how the rules would modify the fields. 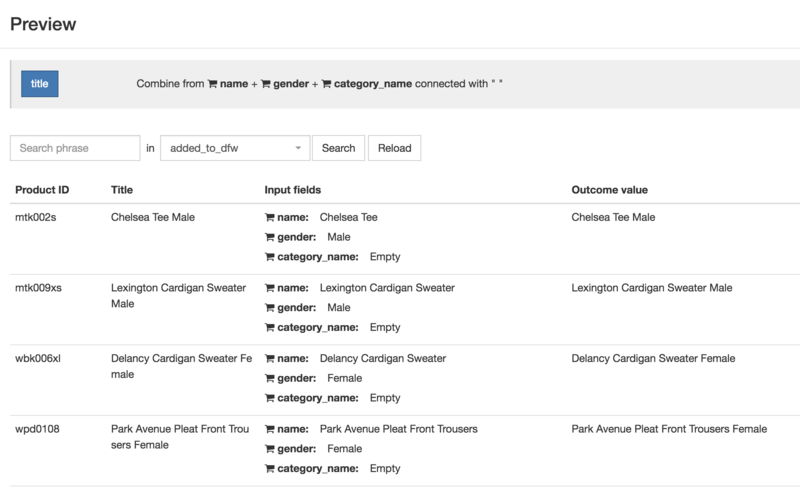 You had to create the rules, save them on the mapping page, refresh the feed, go to the shop's options, preview products, select the output channel for which you wanted to see the output fields. And only then you could see the results of the applied rules. What if we told you that you no longer have to do that? What if we told you that you can preview instantly how the rules apply to your feed? That is why today we are introducing DataFeedWatch Preview – so you can instantly see what is going to happen from within your feed. How does DataFeedWatch Preview Work? On the mapping page if you hover with your mouse over the rules you will see an eye icon that leads to the preview page. 1. At the top of the page, you can see the complete rule you’ve created for a given field. 2. We are giving you a preview per field for a sample of products. If you click reload we'll show a different sample. 3. You can also search for specific products in the feed if you want to have a better idea on how the rules apply to each individual products. 4. Preview how the title in this example looks After applying the rule. There you have it. DataFeedWatch Preview is a functionality that doesn’t require much explanation, but as the saying goes ‘’It's the simple things in life that are the most extraordinary’’. In our case is this simple feature that will save you tons of time and nuisance.